Look, not everyone feels comfortable in their own skin. And despite what soap commercial and B-list-movie-stars-turned-athleisure-wear-designers say, it's totally fine if you don't even want to! In fact, we totally get it if some of you would like to shed that Epidermis altogether! 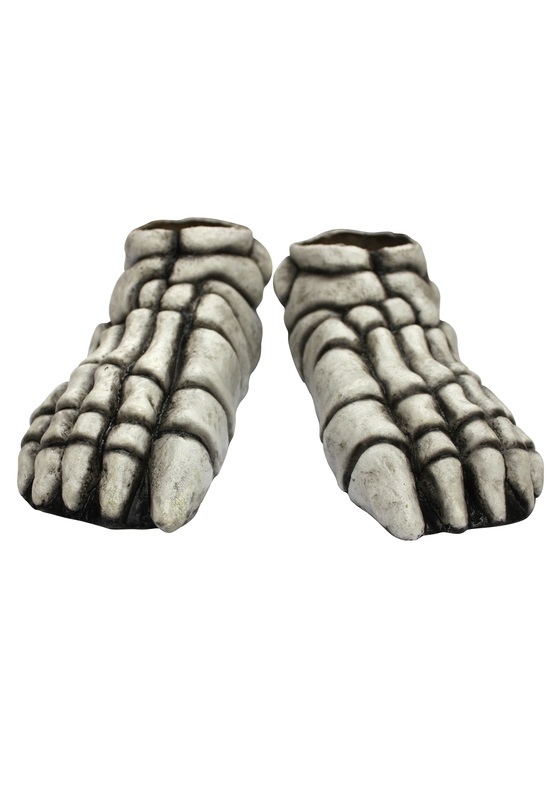 And with this new shoe trend of Skeleshoes and FiveToes, there’s never been a better time to embrace your true desires, say “See ya later, skin!”, and step into a new day of skeleton acceptance and awareness! That’s why we think these Adult Skeleton Feet White molded footcovers are so great! Made of 100% latex, they're shaped just skeleton feet, letting you test drive what getting rid of that pesky feet skin would look and feel like before you actually make the jump (geddit!) into exposing your true skeleton self. So grab a pair and set those bones free!